Le gustaría probar el software? Ofrecemos una licencia de capacidad full por 30 días para evaluar el programa de forma gratuita. 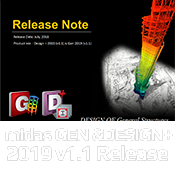 MIDAS desarrolla y distribuye software para ingenieria y proporciona un servicio de soluciones totales para ingenieria civil y mecánica. We hold the world's top technology in the core engineering analysis fields such as computer graphics simulation, advanced analysis and optimal design. MIDAS Family Programs have been applied to all the engineering and industrial applications for the safety and economic feasibility analysis and they holds the largest market share in the world's construction field. 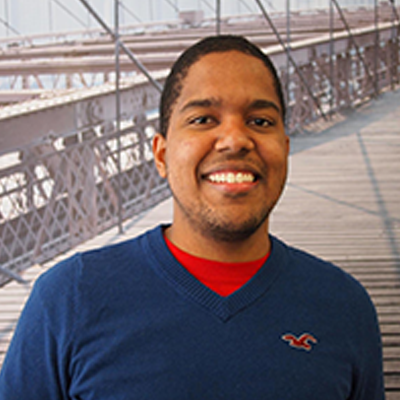 MIDAS has the vision to grow as the global engineering solution developer and distributor. MIDAS will continuously devote itself to create the standard technology of the world. Aumente su pericia. Maximice su potencial. MIDAS provee un aplio rango de recursos de entrenamiento gratuitos: videos, documentos, libros, modelos de capacitaciones y presentaciones de aplicaciones de proyectos. No solo mejore sus capacidades con los programas de MIDAS, pero también aumente su conocimiento, aprendiendo de la experiencia con proyectos de otros ingenieros. No. 1 Market Share in Civil Engineering Software Solutions. 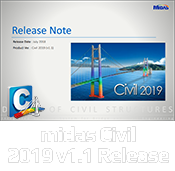 Tens of thousands of Civil and Mechanical engineers around the world have implemented MIDAS Software in their work processes in undertaking high profile projects and everyday projects.